There is always a first time for everything in one’s life. The first day of school, first trophy, first lie, first fight with best friend, first crush sitting on the front bench, first board exam, first girls hang out, first love, first secret trip, first kiss, first drink, first heart break- Gosh!!! (Groan!) 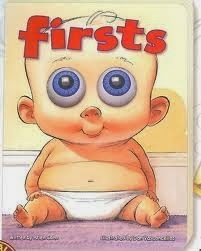 So many firsts. Like everyone, I also have my fair share weird firsts. And the new fresh experience added to that list is the first accident of my life. People get scared and get a wreck on nerve on the name of accident. But I am different. Life has been blown out proportion for so many times in mine that, now it doesn’t matter much. Now I am just normal or elated or happy or excited or mad. These are the mood labels of mine. Even if I am sad or shocked I try to overcome as soon as possible as I know this is not going to take me anywhere. So eight days back it happened in MSPallya. I had gone there for a call based campus drive. When it happened all of my friends attending the drive were either giving exam or returning to hostel. When I arrived to my room after a tiny but nonetheless painful ten stitches on my forehead, people climbed over me because they were utterly shocked and all I could was grin at their expression. I guess that was an adrenaline effect or I don’t know what else, but I didn’t feel anything hurting. Though the next seven days were hell. I would roam around a big bulge of ugly bandage around everywhere and had to explain everyone who bumped to me. Mom sent bag after bags of fruits and all other food with anyone known to her came to Bangalore. No amount of assurance worked on her. Then I had to the interview from that company as I had cleared the written test. I guess eventually they will reject me (the result is still on hold! Please pray for me! Please!) considering that I am blind to be in such a situation where a 8ft’ window pane broke on me. Well! Not my fault and I wasn’t doing any stunt there. It was just cheap material they used in the college building (I really wish to reveal the college name, but I don’t want to embarrass them on the public platform) . So the boring post it over now. And if I have written stupidly then forgive me. It’s all because of this accident. My mind is like a black hole right now. I will surely try my best to come up with a better piece next time. Till then, take care, keep laughing. As far as accidents are concerned I get the shock a day or two after. It does not hit me what went on until I have eaten and have relaxed. Then I understand and get panicked. Thank you Munir. Yeah! I was exactly that way shocked. You didn't even tell me and this happened a week ago ! Anyways, I hope everything's alright now. You should take care. How did this even happen ? Yeah, You will be in my prayers. Hope you get the desired job. Hmm..sorry! :( I was in constant pain and the antibiotics seems to bring more problem as it gave me a long, nauseating feeling. Everything is okay now except the job. I think the black hole is because I don't get to read more innovative, interactive and creative blogs like yours as you have decreased it now a days. Nice write-up! Loved your blog! Take care.. Get well soon.. I hope you're feeling okay now, though. And that the scar fades away soon!!! Hope you are fine by now. N... the wound will heal. You have taken all this very bravely.. and that is wonderful :) Hope you get that Offer. Ouch...Hope you are much better now!